Writer Brynn Morgan has been in love with her best friend and muse, Gillian Parker forever. She’s the only one who can fill the emptiness in Brynn’s life, ease the ache in her chest, and get her writing juices flowing again. The problem is Gillian is straight. And she’s more focused on enlisting Brynn to see whether her doctor fiancé is a cheat. No matter what Brynn turns up, what should she tell Gillian? This UK rom-com, part of the Window Shopping Collection, proves that the path to true love has more than a few bumps in it. Another great book of L.T. Smith which I really enjoyed reading. This was my first read from this author. And I’m not entirely sure, what I should think about. It’s the story about Brynn, an author, who normally has no problems to find words, but struggles to get one straight sentence out, after meeting Virginia. Often she’s acting awkwardly, especially when she’s nervous. But sometimes it was a little bit too much. 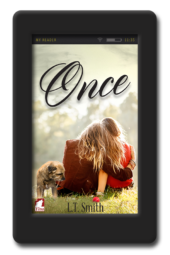 I couldn’t get a grip on the romance, couldn’t feel the connection between the two women. Despite my criticism it was a fun read. I give this story 3,5 stars. Thanks to Ylva for receiving an ACR for a honest review. Sorry for my bad English writing, my native language is Swiss German. This book is hilarious. Some excellent British humor incorporated into the story it had me laughing out loud. I know some people won’t get our sense of humor because it can be sarcastic but Smith really does it proud. This is now my third book by this author and she is fast becoming a favorite. I love her sense of humor, her writing style and her take on the world. This is the second book of the Window Shopping series. 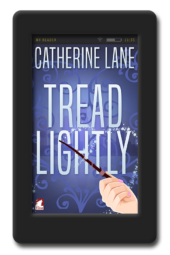 Book one being Tread Lightly by Catherine Lane. Both books are totally independent of one another. It is a series by name only. The authors of this series all start with the same paragraph and then let their imaginations take flight. 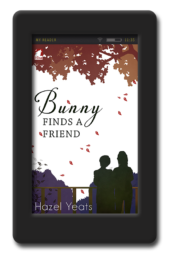 This book is about Brynn who is head over heels in love with her straight best friend Gillian who is also engaged to be married. She has been in love with her for twenty years. Anyway the book isn’t very long but it has an incredible and hilarious twist. A lot of the book is about Brynn and her internal nagging at herself. Smith had me in stitches. I would definitely recommend this book. I will also be looking at more from this author in the future. The story is about Brynn an author with an unrequited love. She acts awkwardly constantly and that’s my problem with the story. It’s too much and after the 10th time she falls, or spills something it’s not funny anymore and becomes boring. This is what I call “the Benny Hill” humour and it’s one that I don’t appreciate. The story could be interesting if clumsiness would be reduced to a minimum, when it’s funny. I also didn’t feel the connection between the two lovers, maybe because in that part of the book I was already jumping lines. What’s with falling in love with your best friend? Well Brynn has had this problem for what seems like forever! 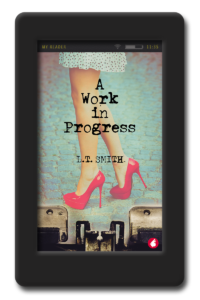 This rom-com by L.T. Smith revolves around Brynn and her internal monologue about loving her best friend Gillian. Brynn and Gillian slowly work through the issue of Gillian fiance’s possible cheating as well as a much darker issue from Gillian’s past. Into the mix to help a very clumsy Brynn is Virgina. Here is where the book comes into itself. 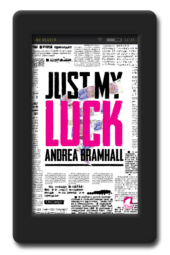 Funny, mixed up, neurotic Brynn takes the reader through her minds crazy thought processes to end up just in the right place! A win for Brynn when she finally realises what’s out there waiting for her. A short story that could definitely be expanded to a novel and thereby develop the characters further.